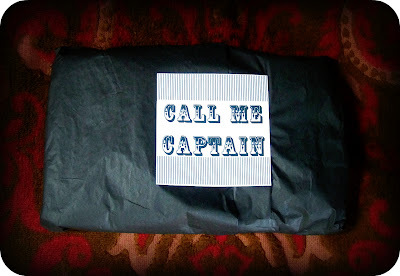 My newest current sponsor is a fabulous etsy store named Call Me Captain. Don't you love dreamy unique names for a store? ^o^ I am so happy to be sponsored by Call Me Captain because I personally in love with the store. The selections on the store is stylishly whimsical and very appealing. 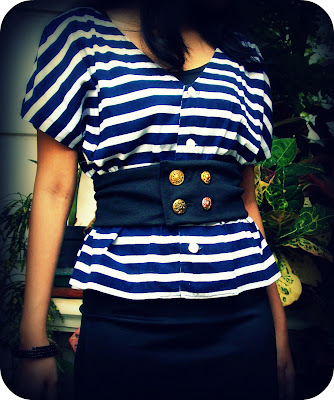 They have a very lovely vintage dresses collection that were all handmade by Rachel, the owner of Call Me Captain. I love all of her dresses! 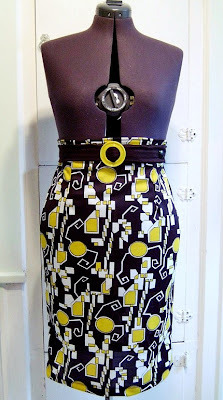 She also made some cute and unique belts, skirts and other accessories that would surely entice you. Owh, it's so cute it made me happy all over. 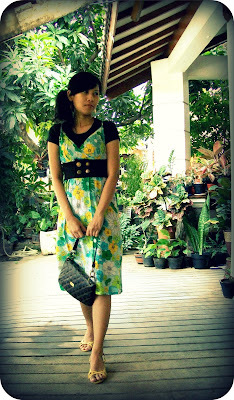 From the day I received it I couldn't wait to try and mix n match it with different outfit! This belt is so versatile and I love the quality of the fabric as well as the neat stitching, you could tell it was a professional job. 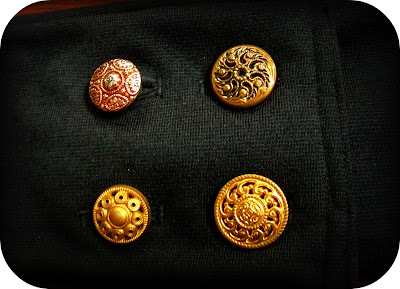 And I love the 4 different brass buttons too! I mentioned to her that I love intricate details on a button and apparently she remembers! 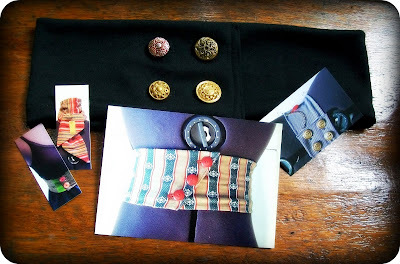 She chose brass buttons with intricate details for my belt. Rachel does a very good job. I really really recommend Call me Captain. 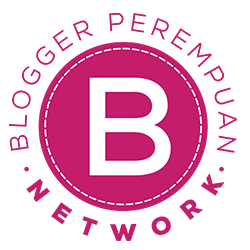 Great service, great quality product and you can custom-order too! Call Me Captain is all about handmade clothing and accessories that were made from reclaimed and vintage fabrics, that's what makes all the dresses and skirts so unique and have a genuine vintage feel. Please note that Rachel only use quality, clean, odor-free fabrics. Rachel is also offering ready-made versions but she encourages people to think about custom order. So if you see one item that you love but not your size it means you can still order one in your size, just convo her and she will make it happen. If the fabric you want is out of stock, she would give you another options, probably she would send you photos like she did with me and my gold button options. 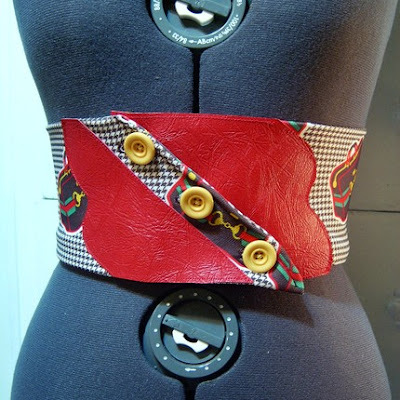 Rachel of Call Me captain is offering one very lucky reader a Free Custom-Belt! This giveaway will end on March 6, 2010 at 24:00 pm. Sorry guys, this time the Giveaway is open for USA / UK / CANADA only! Winner will be announced here on March 7, 2010. I did not receive any form of payment for this review and this is written based on my own or my family's honest opinion (other people opinion may vary). Call Me Captain gave me the product to be reviewed but that doesn't influence my opinion at all. I love the Mr Hyde Dress best, but it was a tough decision. She has a lot of cute stuff! Thanks for introducing me to an awesome new merchant on Etsy. I just adore Etsy! Oh, and I am a follower on Google Reader. I think my Google public name is Ady, but my email is adrienne (dot) simmons (at) gmail (dot) com and that is the same thing I use to log in to my Google Reader. PS (Ady again) I also follow via Google Friend Connect. 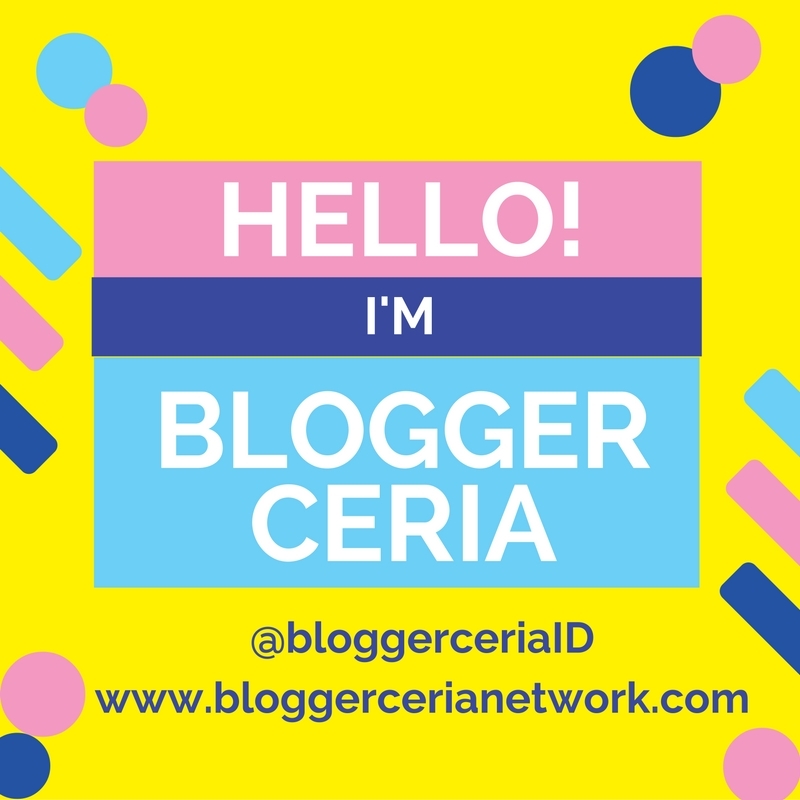 You are even in my blogroll on my blog! adrienne dot simmons at gmail dot com. I love the Four Way Dress! Would be so cool to have it! I'm subscribed to your email newsletter! I'm email subscribed via email! i love the four way dress! 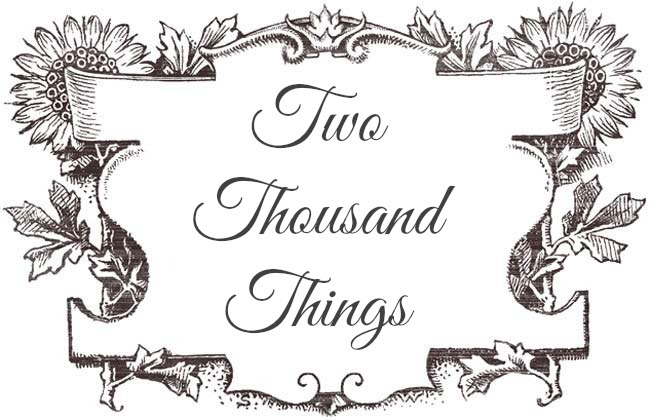 I follow tiger lilly's blog! My favourite is definitely the Valentines dress - it has such a feminine retro style that I just love! Valentine's Dance Dress. 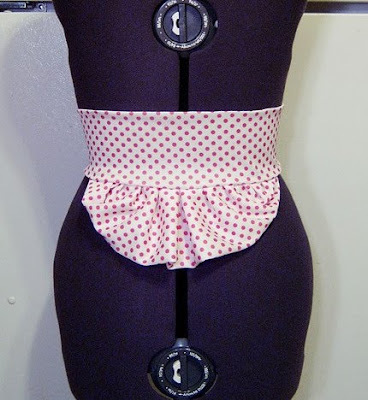 The bow detail is just too cute! I subscribed to your email subscriptions! Oh I love the Think Pink Dress! It's so whimsical and adorable! I'm a follower on google #1! I'm a follower on google #2! I'm a follower on Tigerlily's Book! 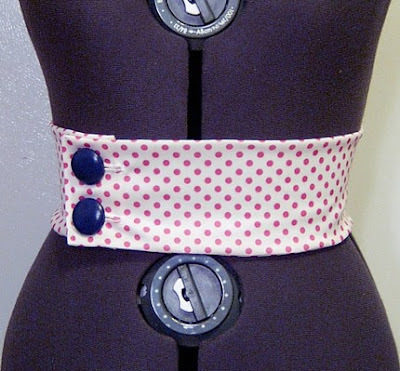 The polka dot bustle belt is adorable! I love the hi-fi belt! I'm lovin' the HiFi Belt.